The aim of this work was to use probabilistic diffusion tractography to examine the organization of the human insular cortex based on the similarities of its remote projections. Forty right-handed healthy subjects (33.8 ± 12.7 years old) with no history of neurological injury were included in the study. After the spatial standardization of diffusion tensor images, insular cortical masks were delineated based on the Harvard–Oxford Cortical Atlas and were used to initiate fibertracking. Cluster analysis by the k-means algorithm was employed to partition the insular voxels into two groups that featured the most distinct distribution of connections. In order to perform volumetric comparisons, the assigned label maps were transformed back to space of the subjects’ native anatomical MR images. The outlines of the change in connectivity profile did not respect the known cytoarchitectural subdivisions and were shown to be independent from the gyral anatomy. Interhemispheric asymmetry in the volumes of connectivity-based subdivisions was observed putatively marking a leftward functional dominance of the anterior insula and its reciprocally interconnected targets which influences the size of insular area where similar connections are represented. The fractional anisotropy values were not significantly different between the hemipsheres or connectivity-based clusters; however, the mean diffusivity was higher in the anterior insula in both hemispheres. The online version of this article (doi: 10.1007/s10548-011-0205-y) contains supplementary material, which is available to authorized users. 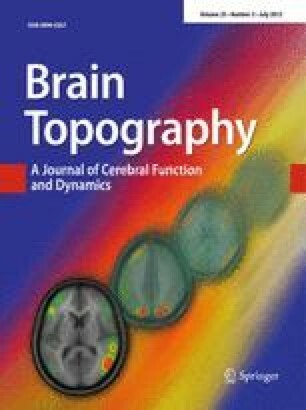 The authors gratefully acknowledge the technical support of Saad Jbabdi (Centre for Functional Magnetic Imaging of the Brain, University of Oxford).